I went a little nuts for spring veggies this weekend. 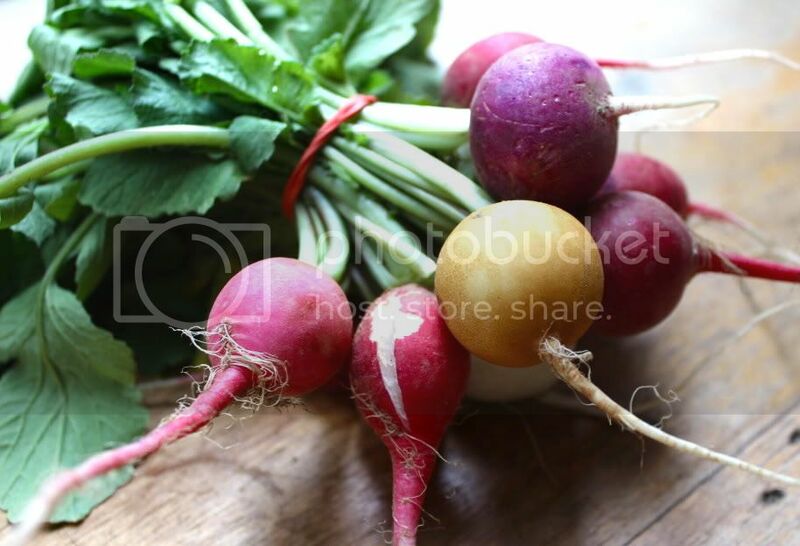 When I hit the Union Square greenmarket on my weekly Saturday trip, it was bursting with beautiful pops of color via ugly little carrots, bright magenta heirloom radishes, verdant green spears of skinny asparagus, and so much more. I skipped around to all my favorite vendors (Lani's Farm being at the top of that list) and bought as much as I could carry home on the 4/5 train. Which turned out to be quite a lot. Preheat oven to 450°. Toss potatoes with 1 tablespoon oil. Season with salt and pepper to taste. 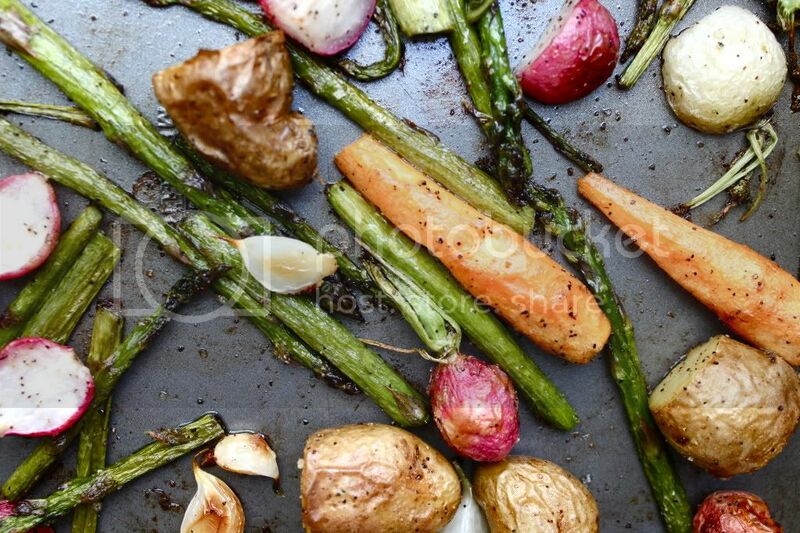 Spread out on a large rimmed baking sheet. Roast for 10 minutes. Remove from oven. Meanwhile, combine vegetables, garlic, and oil in a large bowl. Season with salt and pepper; toss to coat. 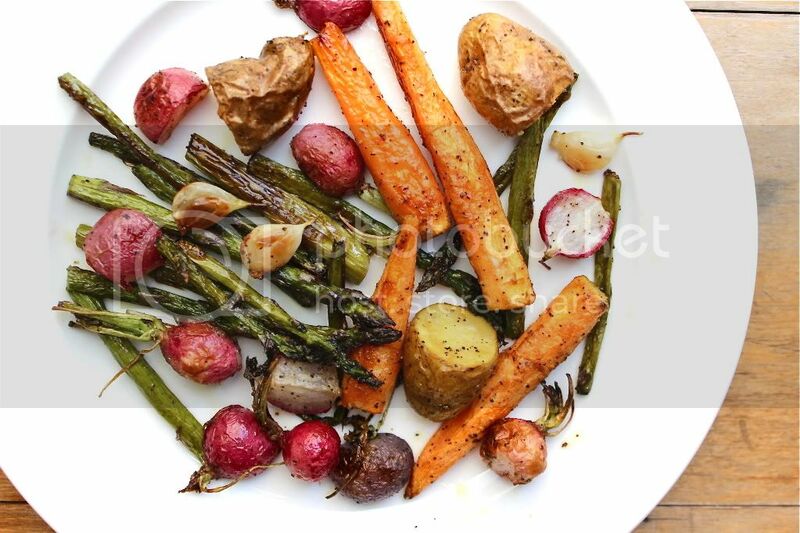 Add the veggies to your rimmed baking sheet with the potatoes and spread it all out in a single layer. Roast, stirring halfway through, until tender, golden brown, and charred in spots, about 20 minutes. gorgeous! 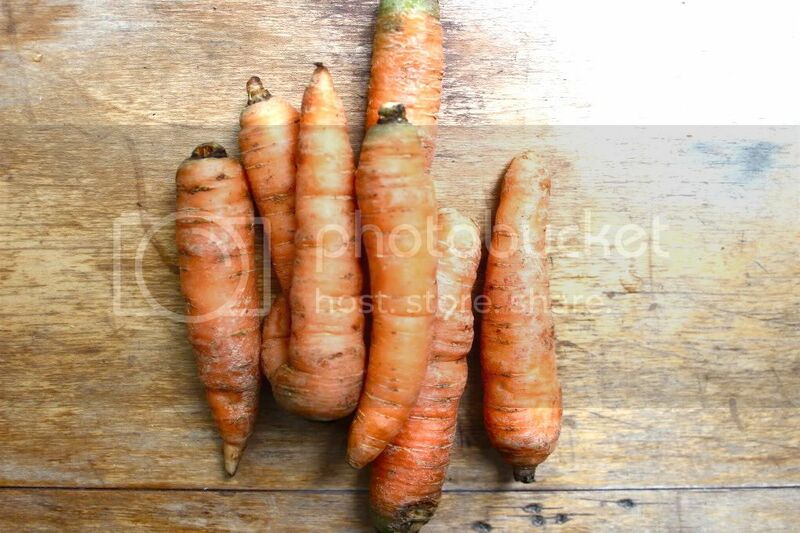 i LOVE an ugly carrot. looks delicious! will try this when i do my groceries next time! So great and simple, I love getting a good haul at the greenmarket too! Looks amazing and delicious. Those radishes are perfection. One of the best ways to enjoy veggies in my opinion!